Print and play or play online. 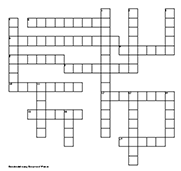 Choose from 13 different themed and generic puzzles to print and play. Choose from 8 different themed puzzles to print and play. 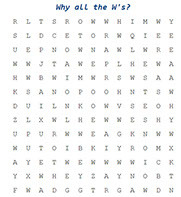 Choose from 26 different themed puzzles to print and play or play online. Choose from hundreds of fun quotes to decipher. Choose from 10 unique mazes to entertain and delight all ages. Choose from 10 challenging math puzzles designed to make you think. 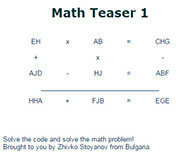 Exclusive to Puzzle Me Silly, Math Teasers are a cross between a math square and a cryptogram. 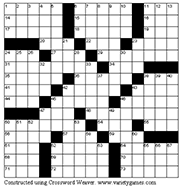 These puzzles are for serious puzzle solvers! Brought to you by Zhivko Stoyanov from Bulgaria.